The Business Landing Page Template here is a fully responsive solution meant for easily creating converting landing pages for any business online project. The template has modern design done in line with the best conversion practices, contact form, Google map and a lot more. 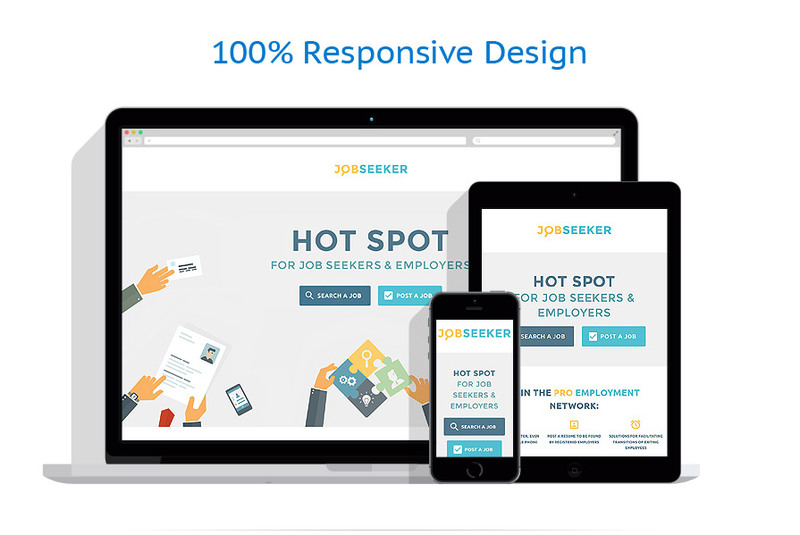 Job Seekers Landing Page Template features clean, flat style, which provides for its better readability. Running on a fully responsive framework, it ensures that all content that you share on the page will be properly displayed across a variety of devices. The theme is crossbrowser compatible and SEO-friendly. A detailed documentation folder and a pack of layered PSD files are intended to facilitate customization of the design. On top of that, it includes a set of working forms, which are intended to help your future employers reach you with hot propositions. Google map and Google font icons are also provided. The theme is best suited for CV and portfolio sites.